Of any one hundred boys who become Scouts, usually thirty will drop out in their first year. Perhaps this could be regarded as a failure, but in later life all of these will remember that they had been Scouts and will speak well of the program. Each of the one hundred will learn something from Scouting. Almost all will develop hobbies that will add interest throughout the rest of their lives. Approximately one-half will serve in the military, and in varying degrees, profit from their Scout training. At least one will use it to save another person's life and many will credit it with saving their own. Four of the one hundred will reach Eagle rank, and at least one will later say that he valued his Eagle above his college degree. Many will find their future vocation through merit badge work and Scouting contacts. Seventeen of the one hundred boys will later become Scout leaders and will give leadership to thousands of additional boys. Only one in four boys in America will become a Scout, but it is interesting to know that of the leaders in this nation in business, religion and politics, three out of four were Scouts. 104 million The number of members since 1910. 1,209,077 The number of adults providing the Scouting program to America's youth. 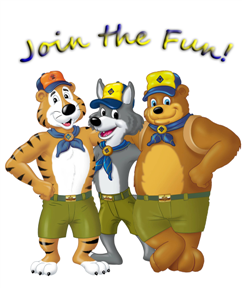 124,660 The number of Cub Scout packs, Boy Scout troops, and Venturing crews. 40,029 The number of Eagle Scout badges earned. 240 The number of individuals who earned a heroism award. 1,363,795 The number of subscribers who learned to read or improved their reading skills with Boys' Life magazine. 136 The number of chartered organizations the BSA worked with during the year. 75,000+ The number of religious emblems earned.